Coming in 2004 2005 "the future"
A fine collection of disturbing children's books. Check out Wendy's first book I'm Not The New Me (link goes to book site). 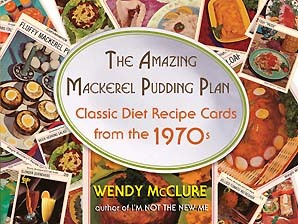 Oh no, it's The Amazing Mackerel Pudding Plan! Order it here. See recipes actually being made HERE. And see Wendy in Chicago!